Explore images of our beautiful property or take a virtual tour. The tours are best viewed in landscape mode, please rotate your screen if you are using a mobile phone. 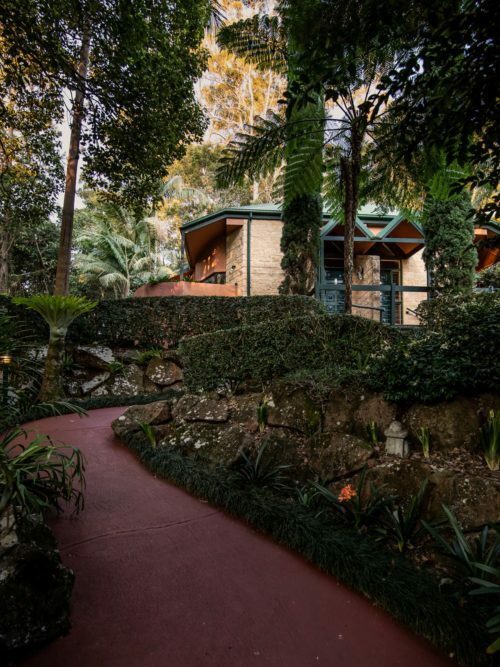 Set on four acres of botanical gardens and lush rainforest, complete with flowing stream, small waterfall and cliff views at the rear of the property. This impressive 3 bedroom, 2 bathroom self catering house features a fully equipped kitchen features an open plan living and dining area, two viewing decks including one with a fireplace that you can sit around at night, surrounded by nature, on top of the world and enjoy this unique experience.